It has been reported previously that LG Display and Apple have struck an $800 million deal to supply 10 million LCD panels for the iPads in next one year. 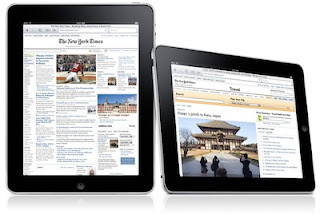 However, it looks like Apple is preparing itself for higher demand as Apple has also ordered Samsung Electronics to supply 3 million LCD panels for the iPad, according to Korea Times. The deal is estimated at about $240 million and Samsung should start shipping the displays very soon. 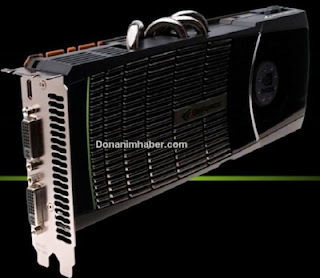 NVIDIA will officially launch the new GeForce GTX 480 and 470 graphics cards based on Fermi architecture on 26th March. But VR-Zone has already posted detailed specifications and pricing for both the graphics cards. The top-of-the-line GeForce GTX 480 will feature 480 CUDA cores, and offer 700Mhz core clock speed, 1401MHz shader clock speed and 1848MHz memory clock speed. 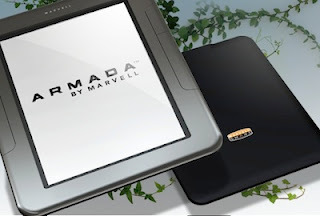 Marvell has announced a new education initiative to deliver a high performance tablet codenamed Moby based on Armada chipset. For $99, Moby tablet prototype promises to offer an always on, high performance multimedia tablet featuring live, real-time content, 1080p full-HD and 3D media, and full Flash support. According to Marvell, Moby tablet could in future eliminate the need for students to buy and carry textbooks. NY Times is reporting that Google has teamed up with Intel and Sony to develop new Google TV platform to bring the web into the living room of consumers via next generation of televisions and set-top boxes. 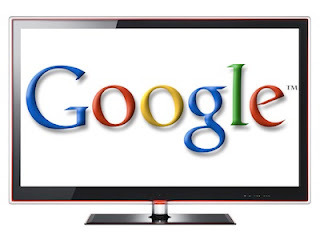 Google TV will make it as easy for TV users to navigate Web applications like Twitter and Picasa, as it is to change channel. The platform will be based on Android operating system and Google intends to open the Google TV platform once it is launched. Microsoft previewed Internet Explorer 9 the next version of Internet Explorer web browser at MIX10 in Las Vegas. 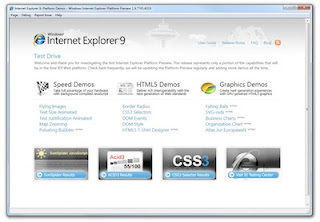 Microsoft also announced the Internet Explorer 9 Platform Preview for developers, which is simply a preview of the platform subsystems code that is “under the hood” of the browser. 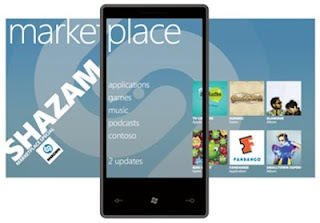 Microsoft provided the first in-depth look into Windows Phone 7 Series application development at MIX10 in Las Vegas. The platform combines Silverlight features for rich application development and the XNA Framework for games. 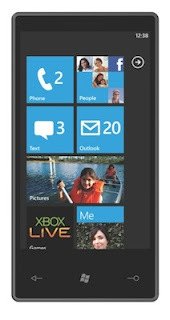 Windows Phone 7 Series will allow developers and designers to build visually stunning and immersive application and games, according to Microsoft. Intel today launched the Intel Xeon Processor 5600 series. 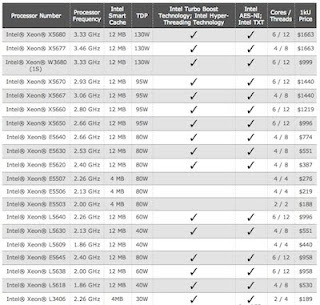 The new processors deliver two new security features – Intel Advanced Encryption Standard New Instructions (Intel AES-NI) and Intel Trusted Execution Technology (Intel TXT) – that enable faster encryption and decryption performance for more secure transactions and virtualized environments, providing data centers with a stronger foundation for cloud security. Last week, Sony officially announced PlayStation Move motion controller and PlayStation Move sub-controller for PS3. 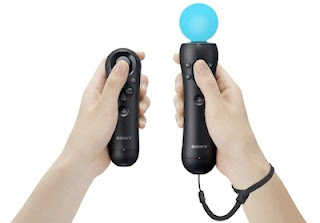 The Move controller will ship in fall 2010 and should be priced under $100 as a starter kit that will include PlayStation Eye camera, both the motion controllers and a game. The combination of the PS3 system and PlayStation Eye camera detects the precise movement, angle and absolute position in 3D space of PlayStation Move controller, allowing users to intuitively play the game as if they themselves are within the game. Apple has posted new information about iWork, iBook, 3G service and hardware features of iPad after they started taking pre-orders for the new tablet. 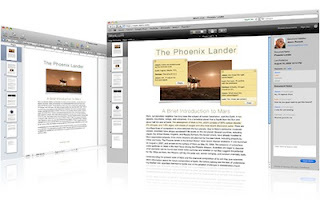 The iWork for iPad will be available for download from App Store starting on April 3, priced $9.99 for each application. 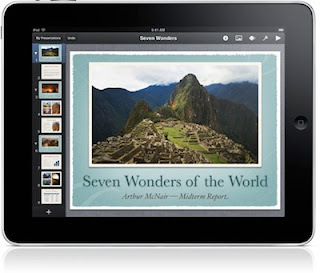 Apple will release completely reworked version of Keynote, Pages and Numbers for iPad that will support Multitouch.